We let the toddlers take over! Reserved for Ages 2-6, let the little ones explore, jump and climb without the worry of the bigger kids. Parents are always welcome to climb right along with them! 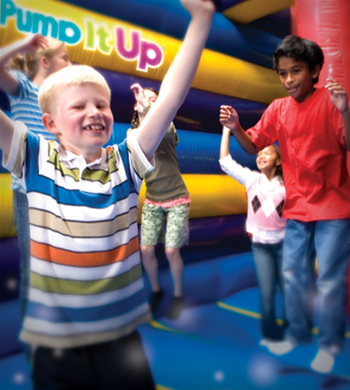 These Open Play days are perfect for the beginner jumper to get used to the gigantic inflatables and all the fun at Pump It Up! 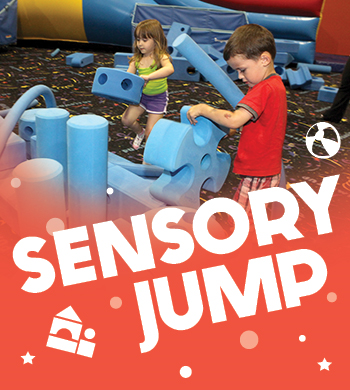 Open Jump and Buddy Passes are accepted for Toddler Time. Sorry, Toddler Time is not for Birthday Parties. Our guests have found a birthday party alienates the guests who are not part of the party. We recommend hosting any of our private parties to give the kids the best experience. For safety we require children to be ages 2+ or 34" in height. Additional Open Jumps are Added when school is out! Like us on Facebook for the most up to date announcements! Weekend Open Jump varies from week to week. Weekend Open Jump times are announced the week before on our Facebook Page! Sorry, Open Jump is not for Birthday Parties. Our guests have found a birthday party alienates the guests who are not part of the party. We recommend hosting any of our private parties to give the kids the best experience. Monday-Friday. Check our Events Calendar or call for times. Socks and waiver required prior to play.